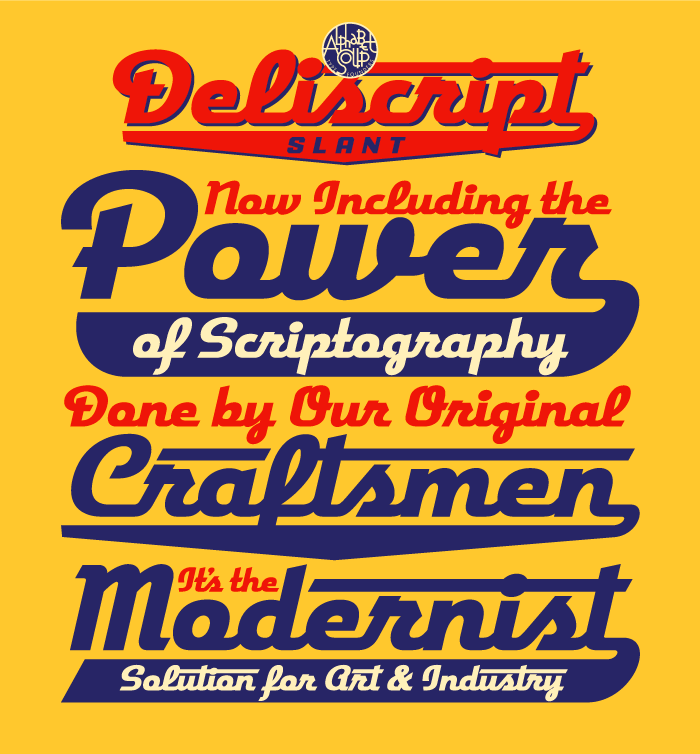 I was extremely excited to learn recently that my Deliscript font family (Alphabet Soup’s major font project of 2009) was chosen by the Type Directors Club to receive their prestigious “Certificate of Excellence in Type Design” in the display fonts category for their TDC² 2010 Typeface Design Competition`. 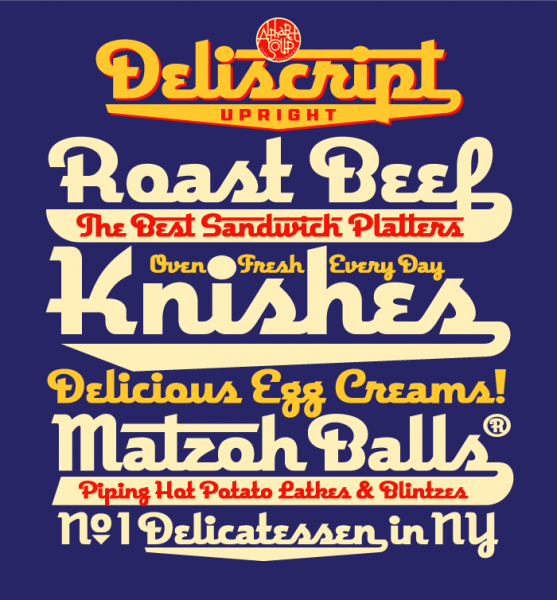 Deliscript was one of only 16 designs chosen from the many typefaces entered from 29 countries. Deliscript will be showcased in TDC² 2010, will be on display in New York City throughout the summer of 2010, and will be published in TDC’s Typography 31, the Annual of the Type Directors Club. The exhibition will then go on tour traveling throughout North and South America, Europe, and East Asia. Once again I’d like to extend my thanks to the very talented Patrick Griffin of CanadaType for his invaluable help with Deliscript’s OpenType programming.